Gana’da alüminyum profil sac levha vb ürünleri üreten ve ticareti yapmakta olan bir firma alüminyum ekstrüzyon presi için anahtar teslim fiyat talep etmektedir. 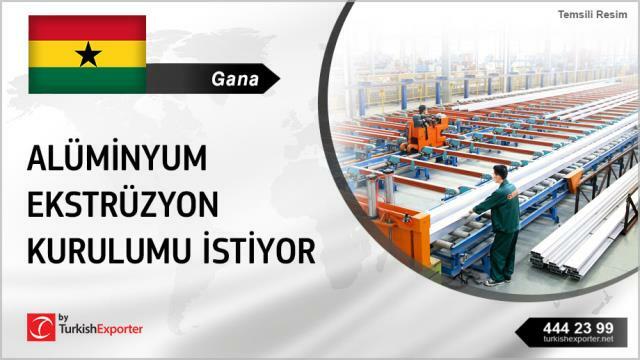 I am looking for aluminium extrusions plant in Turkey. **** Systems Ltd is a dynamic and reliable Value-Added Aluminium Systems Manufacturing and Glass Retailing Company with over 23 years of Industry experience. With our extensive list of client accreditations, we have the knowledge and expertise to get the best from industry standard products from leading manufacturers.